Casting Call: Hollywood Needs More Women Women make up half of movie viewers, and yet they are underrepresented on the big screen. Many more films are made by, for and star men, according to surveys by the Annenberg School. So as Hollywood changes and evolves, can this disparity be fixed? Summer is the perfect time for a night out at the cinema, but maybe you've noticed something missing at the movies: women. Women make up a minority of movie creators: 7 percent of directors, 13 percent of writers and 20 percent of producers; that's nearly five men for every woman working behind the scenes. Out of last year's biggest movies, 28 percent of speaking characters were female. That's down from a third just five years ago, according to the Annenberg School at the University of Southern California. "Just based off last few movies I've seen, they've all been male-centric like World War Z and Man of Steel and This Is The End," says 20-year-old moviegoer Melissa Hattab. "I know that I love going to the movies and I like seeing women I can relate to." That's not to say no women are making and having lead roles in films, recent examples include Sofia Coppola's Bling Ring and The Heat, which opened this weekend and stars Melissa McCarthy and Sandra Bullock. The Heat was also written by a woman, Katie Dippold. 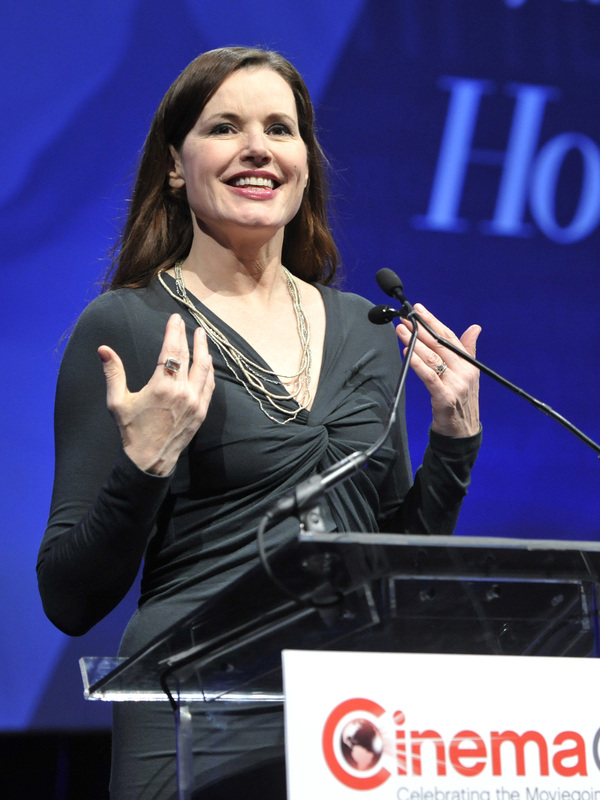 Actress Geena Davis addresses the audience at the "Driving Financial Success: Women + Movies = Bigger Box Office" luncheon at CinemaCon 2013. The female buddy-cop movie The Heat echoes what was billed as the ultimate chick flick, 1991's Thelma & Louise starring Geena Davis and Susan Sarandon. "Every time there's a movie starring women, the media is very excited to say, 'Well, this changes everything,'" Davis tells NPR's Jacki Lyden. "That's what happened with Thelma & Louise ... and nothing changed." Davis says the same things were said after more recent movies like Bridesmaids and The Hunger Games, but not much changed "and it's not going to," she says. Lately, Davis has been busy trying to figure out why women aren't better represented in film, and how to turn it around. In 2004, she founded The Geena Davis Institute on Gender in Media. "When my daughter was 2 years old and I started watching [kids programming] ... I was floored to see a huge dearth of female characters," Davis says. "I knew that there were fewer female characters in general in Hollywood ... but I didn't know that applied to what we show kids." Davis' think tank commissioned numerous studies on women and media. Despite women making up half of all moviegoers, the studies showed that in family films and children's programming there was only one female character for every three male characters, she says. But it's not all bad news. "We were able to see an increase in the percentage of female characters in family films," she says. At the current rate, however, reaching a parity of female and male characters would take about 700 years, she says. Davis jokingly says her organization is dedicated to cutting that number in half. Humor aside, she says the disparity of female-to-male characters in media is a concerning issue. "What we're in effect doing is training children to see that women and girls are less important than men and boys. We're training them to perceive that women take up only 17 percent of the space in the world," she says. "And if you add on top of that, that so many female characters are sexualized, even in things that are aimed at little kids, that's having an enormous impact as well." Longtime producer Lynda Obst has watched Hollywood undergo some seismic changes, and they haven't been good for women. She says it was much different 30 years ago. "You could make up an idea, pitch it to your boss and if you were lucky and he liked the idea and you had a good writer, you could sell it and it might get made into a movie," Obst tells Lyden. Obst calls those days "the old abnormal," when she produced numerous hits including Flashdance, Sleepless in Seattle and One Fine Day. These days, Obst says it's "the new abnormal" trying to get studios to pick up a movie. "What they want are ideas known around the world before they even get made because it makes marketing the ideas even easier," she says, "which is why they want ideas that can easily be made into sequels and then become franchises." Obst calls these movies tent poles: dependable blockbuster brands like Spider-Man, the X-Men and Harry Potter. 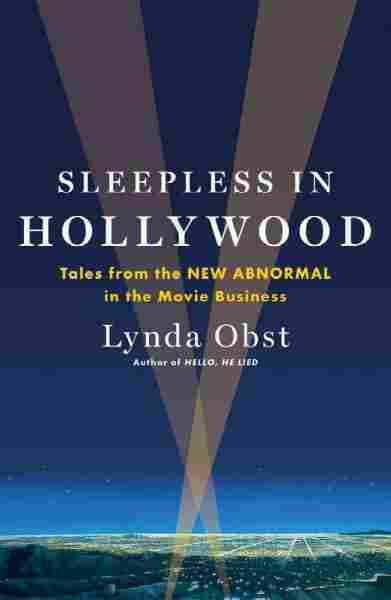 She writes about the changes in her new book, Sleepless in Hollywood, and what exactly accounts for the "new abnormal." Obst says the collapse of the DVD market — which once accounted for about 50 percent of profit in the movie business — forced Hollywood to look elsewhere for revenue. They found it in international audiences, particularly in Asia and South America. The problem, she says, is the kind of movies those audiences want. "The kinds of movies that they like abroad are movies with huge special effects," she says, "and moreover, they don't like movies with too much dialogue. ... So women's movies — romantic comedies [and] dramas — they don't play well overseas." The other issue, Obst says, is that Hollywood marketers are only concerned with catering to men in their advertising because the general attitude is that "women will go anyway." Obst suggests Hollywood could make one less $200 million tent pole movie a year, and instead put that money toward multiple smaller movies that serve another audience. "Women have been incredibly supportive in showing that there is an audience," she says, "and we also have to be conscious of making those movies good enough for the audience to show up for." Perhaps there is hope. For its opening weekend, The Heat came in at strong second place and made $40 million, beating out the male-driven action-adventure movie White House Down.